Dividing the family farm can be great source of hardship during divorce settlements. When farms are passed down from generation to generation, keeping family harmony between the former spouses is beneficial to maintain the farming business. Collaborative Family Law is a new system where each spouse is represented by a lawyer who helps navigate them through the separation process by negotiating a Collaborative Settlement and therefore avoiding the need to proceed to Court. This process reduces conflict and promotes communication between the parties. You are in control of what works best for your family farm and the process is private, efficient and less costly than going to court. You avoid bitter legal battles and create positive family dynamics for the future. Parents co-operate in reaching solutions that are best for their children, as well as the future of the family farm. Allows the parties to have much more say and control rather than leaving the decision making in the hands of a Judge.Collaborative Family Law is a client centric solution. You, your spouse and each parties’ lawyer work together as a team to reach an agreement to resolve all issues such as division of family farm, the buy out by one party, as well as custody and support. There is an understanding that each party will bargain in good faith. When settlement is reached, a legally binding agreement is prepared by the lawyers and signed by you and your spouse. Furthermore, there is an understanding that each party will act with respect and if the other makes a mistake, the other will correct it. The parties get to hire experts jointly. meaning that there does not have to be experts hired by each side rather each party getting their own expert and doubling costs. This is a way that minimizes the conflict between the parties and is a process that allows the parties to have much more say and control rather than leaving the decision making in the hands of a Judge. Often when parties do not get along and they plan to divorce going to two litigation lawyers and bring it to Court is like using gasoline to try and put a fire out, it only enrages both parties. 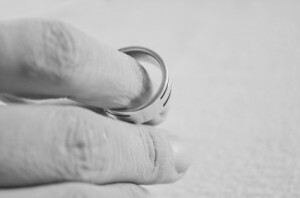 Collaborative Family Law is a new process that allows people that realize that they can no longer be a couple take a civil attitude in dividing thier assets and moving on with their life, while maintaining the family farm for future generations. 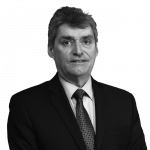 Michael For cier is a member of the Upper Canada Law Society and was called to the Bar in 1986. He completed his undergraduate studies at the University of Toronto in Economics and he obtained his law degree from Windsor Law School. He relocated to Owen Sound in 1991 and has practiced law in the Grey/Bruce Counties since then. In the past Michael has presented papers at Canadian Bar Association meetings as well as Ontario Bar Association seminars. He has taught the Estate Law Clerks course at Georgian College.